I was on a short 4 day cruise down to Atlantis some time ago. 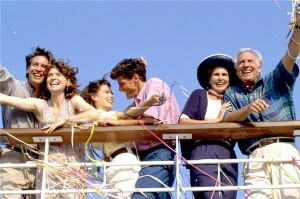 The big picture above is not from that particular cruise, but it is a good sample picture of today’s cruise passenger. Because I blog about weight and health issues I was particularly aware that at least 70% of the approximate 2,400 passengers were obese. The remaining 30% were mainly children, teens, college age, and the occasional middle/older aged thinner anomaly. The obesity problem has reached epidemic levels in society if this group of people is an average sample of Americans. Keep in mind cruise ships will attract the all-you-can-eat crowd, especially the lower cost 4-day, 1-stop cruises. So the fat cruiser percentages may not be the same on longer more expensive cruises. However, while reviewing hundreds of other pictures of cruise passengers from thousands of photos on a Google Image Search I personally believe the obesity epidemic is getting worse, very fast. Especially in the ages between 30 and 60. Of course most people have been conditioned from years and years of cruise ship marketing material and advertisements to believe cruise passengers look like the thin models in this promotional picture. Two groups that stood out on the cruise as completely out of control were the white males from age 30 to the late 60s. And the blacks, all ages. There were plenty of white women in all age groups completely out of control. I’m not disparaging this group of people as I was just like them until mid 2010. The younger ages seem to fare much better grazing on the contaminated processed food supply. But by about age 30 it looks like the body starts to become overwhelmed. Whatever protected the younger ones, whether it’s growth hormones, a newer body with fresh organs, strong liver, different metabolism while growing, whatever, it must start to wane after age 30. Then they balloon out quickly. I wondered is it because they’re all just oblivious to the problems with today’s contaminated processed food supply? Or, was it because they just don’t care? Or, is it the end result of huge conglomerate food processors employing tested R&D in sugar, salt, MSG, and chemical addiction technology en masse on the population? Whichever it is, the average person hasn’t found a motivating reason to care about their general physical condition. They’re in a slow eugenics death spiral as willing participants in the Multi-Million Dollar Medical Early Demise Tax Scheme. Another interesting observation, about 95%+ of the ship’s crew members (all foreign) were slender, and at or below ideal body weight. Similar to the wait staff person in the middle of the big picture above.